With weeping foliage and masses of flowers Buddleia (Buddleja) alternifolia is one of the most attractive of the species when in full flower. With a natural weeping habit, over time this forms a graceful flowering shrub that requires little care. 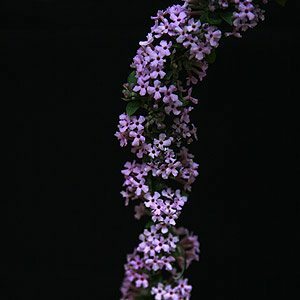 Commonly known as ‘The Weeping Butterfly Bush’ this is a plant that lives up to its name. It is a hardy plant that grows well in full sun and with its arching foliage makes a very attractive plant in the garden border. Long flower bracts over spring and summer attract birds and butterflies alike. We have seen these trained like a standard and they do look dramatic. Also known as the ‘Fountain Butterfly Bush’ this one flowers on the previous years wood, so prune after flowering. Drought tolerant once established Buddleia alternifolia is relatively disease and pest free in a well drained humus rich soil. Grows well in all but tropical climates as long as the soil is suitable and some moisture is available. B. alternifolia ‘Argentea’ – Deeper coloured flowers than the species. This is a plant that flowers on the previous years growth, it therefore need to be pruned after flowering rather than in spring. Best hard pruned every year once established to keep the plant from getting to large. This method of pruning seems to create a better form this way with fresh new arching growth each year. This is unlike B. davidii which is pruned in winter. Common Names – Weeping Butterfly Bush, Alternate leafed Butterfly Bush. Flowers – Large lavender purple flowers to 40 cm (16 inches) long. Foliage – Mid to deep green alternate leafed. Drought tolerant – Medium, some watering in dry summers will be required for good flowering.